Hey y'all! 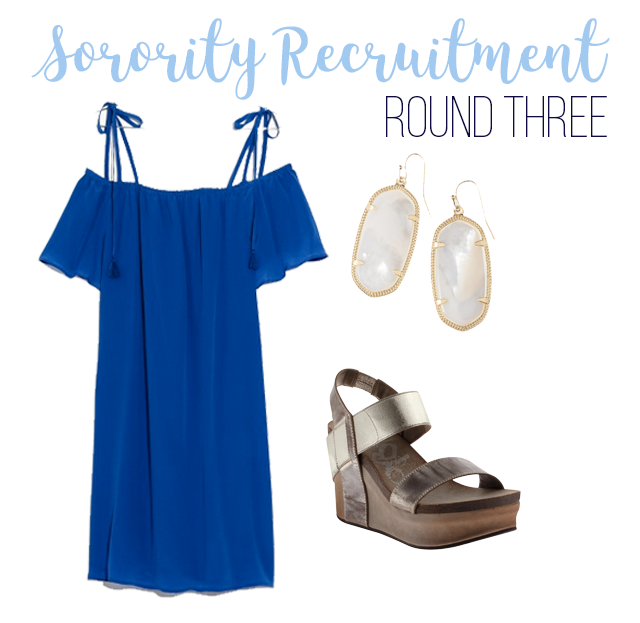 On Monday I started my series on what to wear for sorority recruitment. Monday's post focused on Rounds 1 and 2, and today's post is going to focus on Round 3. At Alabama Round 3 is called Sisterhood Round. I know at some school's this might be called Skit Round, but a lot of schools are moving away from that and instead having a sisterhood focused round or a philanthropy focused round if they didn't have one already. Round 3 is pretty similar to Round 1 in terms of outfits except everything is elevated a little bit. Your dresses are a step up from the first round, and at this point you will switch out sandals for heels or wedges. With the dresses fabrics can definitely make the dress either more casual or nicer, so for round 3 the dresses should be less sundress-y and closer to the idea of a nice shift dress. 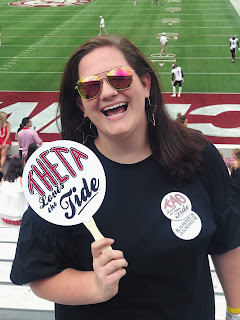 Again, if you want to see what I wore last year, you can check that out here, and you can see the rest of my sorority themed posts here. Check back on Friday for Round 4 aka Preference Round!